This fixture is made by company called SunBlaster Lighting who is horticultural lighting manufacturer. This company have been working for over 10 years now and in this time they have offered their clients many innovative and great designs of T5 and CFL lights as well as different accessories for these lights. And now they are reveling their newest development – the SunBlaser HO T5 fixture and NanoTech reflector combination. For those who are searching for a small light to use on cuttings, seedlings or simply to give additional lighting to a few smaller plants then this SunBlaser fixture and reflector combo might be what you are looking for. 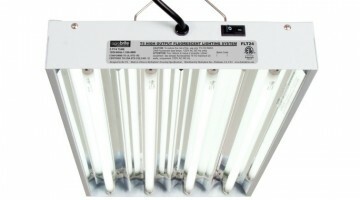 It is not only cost efficient but also very powerful and will give out light that is able to penetrate the plants deeper letting them grow faster. 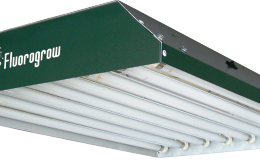 Like any HO T5 grow light of 4 feet this one too will consume only 54 watts of electricity but because it is a new and improved grow light its initial lumen output is 3,284 lumens that slowly grows to more than 5,000 lumens as the light warms up. Because of that the lumen to watt ratio for this fixture is 95 lumens per each watt that it consumes. However, thanks to the NanoTech reflector the light actually delivered to the plants is about three times that, meaning that you will have extremely powerful light that consumes little electricity. Additionally this fixture and reflector combo will last you about 10,000 hours from moment when you first turn it on. And it also comes with features like the ability to daisy-chain up to 8 fixtures of different lengths and types with this one and power them all from one outlet and the chance for you to choose where and how you want to set it up because you can either hang it up or mount it to any surface with the hanging kit and mounting clips that come with the fixture. 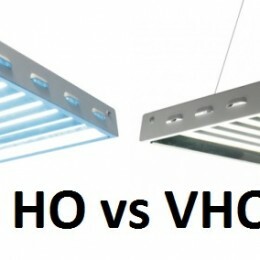 Because this fixture is a single bulb one it doesn’t have the traditional housing like multiple tube fixtures do. Instead the housing of this fixture is made up from the ballast and reflectors still securing the bulb in the fixture and protecting it from outside elements. The top of the fixture is white but the NanoTech reflector are in contrasting black color giving the fixture a classic black and white look which will blend well into any environment. 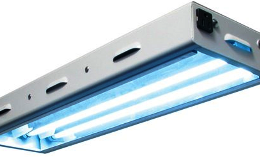 Fixture features an electronic ballast that ensures stable and uniform volt flow throughout all fixture. 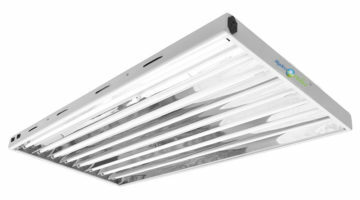 But the star of this fixture is the NanoTech reflector that is specially made for this new SunBlaster T5 High Output (HO) fixture. This reflector is special because it is crafted using nanotechnology that increased the amount of light is able to reflect back to each plant and therefore increasing also the lumen count that the plans that are growing under it gets. 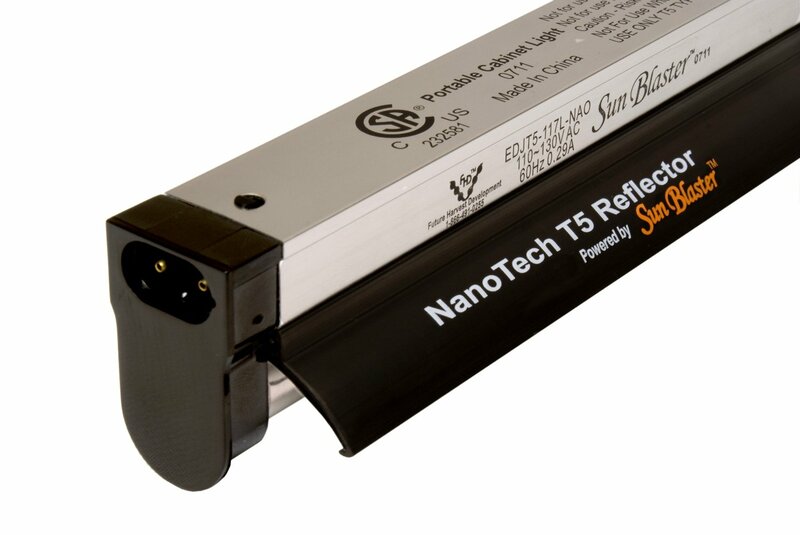 You could say that this T5 fixture with the NanoTech reflector could be equivalent to three T5 HO single bulbs fixtures without this reflector meaning that you can have the power of three T5 bulbs with the watt consumption of one. The bulb that comes with this single tube T5 fixture is a simple High Output bulb with the color temperature of 6,400 Kelvins, meaning that it will be great for anyone who wants to use this fixture & reflector combo for growing plants. However, there are 2,700 K bulbs available for those who doesn’t need a full spectrum but rather warm, red spectrum light for example if you are growing plants that are in their flowering stages of growth. The dimensions of this fixture are 49.5 by 3.5 by 2 inches (125.73 x 8.89 x 5.08 cm) meaning that it is very compact and will fit into even the smallest of spaces and it weights next to nothing – only 1.8 pounds (0.8 kg) letting you easily pick it up and carry where you need it. Where can I buy a new balast, I changed light, and still doesn’t work. so I take that the ballast is gone. Can you help please. 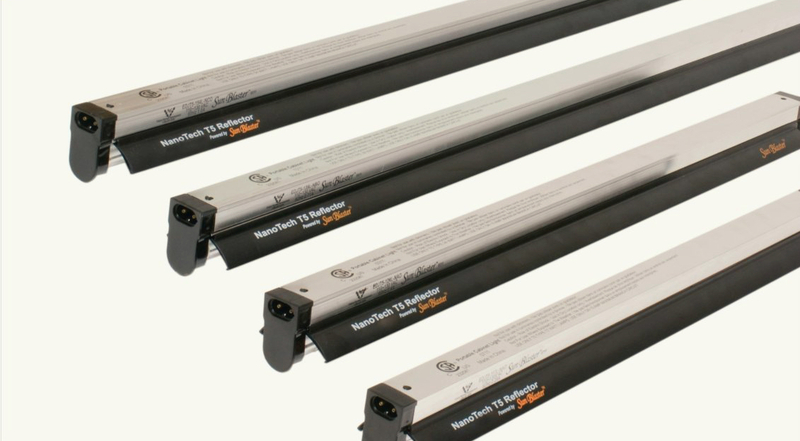 Since the SunBlaster NanoTech T5 features an electronic ballast, you should be able to buy any T5 High Output fixture ballast and use that as your replacement. As for where to buy is, I would suggest you looking on Amazon. 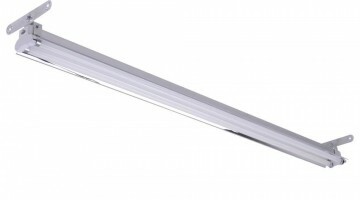 Just type T5 HO electronic ballast in the search bar and find the one that is suitable for your fixture.